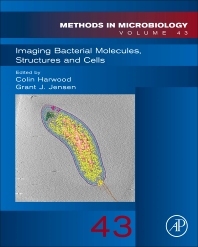 Imaging Bacterial Molecules, Structures and Cells, the latest volume in the Methods in Microbiology series, provides comprehensive, cutting-edge reviews of current and emerging technologies in the field of clinical microbiology. The book features a wide variety of state-of-the art methods and techniques for the diagnosis and management of microbial infections, with chapters authored by internationally renowned experts. This particular volume focuses on current techniques, such as MALDI-TOF mass spectroscopy and molecular diagnostics, along with newly emerging technologies, such as host-based diagnostics and next generation sequencing.